PDF documents aren’t going anywhere, nor should they. They provide a useful, lightweight method to share non-editable rich text documents, and the format has been around since 1993 meaning almost all of us have interacted with a PDF document at some point in our lives. 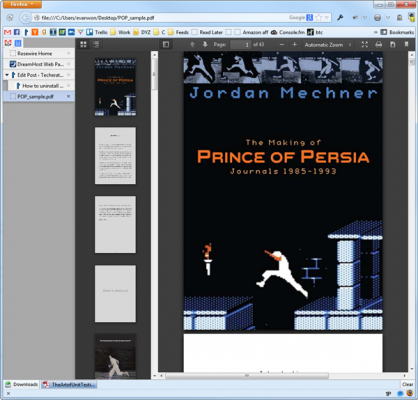 The fact that PDFs are so ubiquitous means that most computers come with a PDF document viewer pre-installed, with Adobe Acrobat Reader being one of the most popular. I certainly can’t criticize Adobe’s efforts to combat security issues because I’m frequently prompted to update my Adobe software via their automatic update system. These updates are often retroactive, though: by the time you receive an update, the security flaw has already done its damaged to hundreds and thousands of computers. The definition of a “0-day exploit” means that the attack used a previously unknown vulnerability, and these exploits can be extremely dangerous. Unfortunately, we simply can’t rely on automatic updates to protect us from all security flaws for a number of reasons. Some users may not have automatic updates enabled, and many users deliberately disable automatic updates on popular applications despite the security risk it presents. Automatic updaters typically run on a schedule, so there could be a delay before your computer even checks for a security update. And let’s not forget the most basic of issues: Some users simply don’t know what to do when presented with an automatic update dialog. So what’s the solution? In my opinion, the best way to avoid security flaws in Adobe Acrobat Reader is simply to uninstall it. I don’t want you to be PDF viewer-less though, so in this article I’ll show you a simple way to remove Adobe Acrobat Reader without giving up your ability to view PDFs. Web browsers like Chrome and Firefox have strong incentives for removing the dependency on 3rd-party plugins like Adobe Acrobat Reader. Plugins slow down browsers, open security vulnerabilities, and can cause a variety functional issues with the browsers themselves. If you have the latest versions of Chrome or Firefox installed, you should automatically see their built-in PDF viewers when opening a PDF link in your browser. But what about PDFs you have on your local computer? No problem! 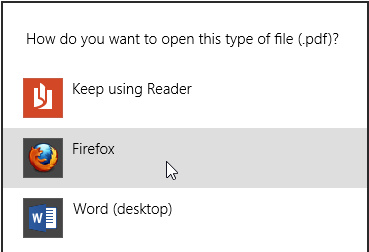 Step 1: Locate a PDF document on your computer. Step 2:Right-click the document and select Properties. Step 3: Locate the Opens with: setting and click Change. Step 4: Select your web browser of choice. You may need to navigate to your browser’s executable if it isn’t displayed in the list. That’s it! Now when you open a PDF document, your web browser will be used instead of Adobe Acrobat. You can now uninstall Acrobat from your computer – you won’t be needing it or its security vulnerabilities anymore. Previous PostPrevious What happened, Hulu?